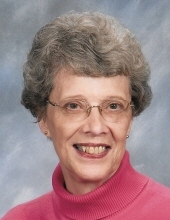 Mary Elizabeth (Birch) Hiller Age 84 of Pleasant Hills, (formerly of Clairton), passed away peacefully, on January 31, 2019. Loving mother of David R. Hiller (Lenore) of Pleasant Hills and Anne H. Snively (James) of OhioTownship; grandmother of John Hiller, Matthew Hiller and Benjamin Snively. Mary was preceded in death by her dear grandson Jacob Snively. She was preceded in death by her brother Robert Birch of Lee, Massachusetts (formerly of Clairton); her parents Bruce C. Birch and Marjorie E. (Bagshaw) Birch. A 1952 graduate of Clairton High School, she continued her education at the Carnegie Institute of Technology. After her acceptance to the Margaret Morrison Carnegie College as an accounting major, she changed her mind and chose to pursue a music degree, first as a performance major and continuing a fifth year to complete a music education degree. She began her career as a music teacher with the West Jefferson Hills School District, where she taught for 10 years. After many years as a homemaker, she returned to the workforce as a bank teller with the Brookline Branch of Mellon Bank, working her way to management in both the Carrick and Whitehall branches, all the while working as a tax preparer for H&R Block. She rounded out her career there after twenty-five years as a tax preparer and consultant before her retirement in 2009. Mary was active in the Pleasant Hills Community Presbyterian Church, volunteering in the office and for their ministries. She will be remembered by many young piano students also, as she gave lessons for 30 years.Visitation will be held on Friday, February 8, 2019 from 2 to 4 pm & 6 to 8 pm at the JEFFERSON MEMORIAL FUNERAL HOME, INC., 301 Curry Hollow Road, Pittsburgh, 15236. A Funeral Service will be held on Saturday, February 9, 2019 at 10:00 am at Pleasant Hills Community Presbyterian Church, 199 Old Clairton Road, Pittsburgh, 15236. Interment at Jefferson Memorial Park. Donations may be made in Mary's honor to the Jacob Snively Memorial Fund at https://pittsburghfoundation.org/scholarship/1011 or to a Dementia Resource Center near you. Online condolences may be left at www.jeffersonmemorial.biz. To send flowers or a remembrance gift to the family of Mary Elizabeth (Birch) Hiller, please visit our Tribute Store. "Email Address" would like to share the life celebration of Mary Elizabeth (Birch) Hiller. Click on the "link" to go to share a favorite memory or leave a condolence message for the family.